this is a good way to start your day....and adding vegetables to your morning meal is a definite change from your regular upmas!! heat oil and season with mustard, jeera,cloves,curry leaves and cashew. fry the green chillies, ginger, onions. add the chopped carrots and the green peas and salt and fry on high flame till the carrots get a little tender. 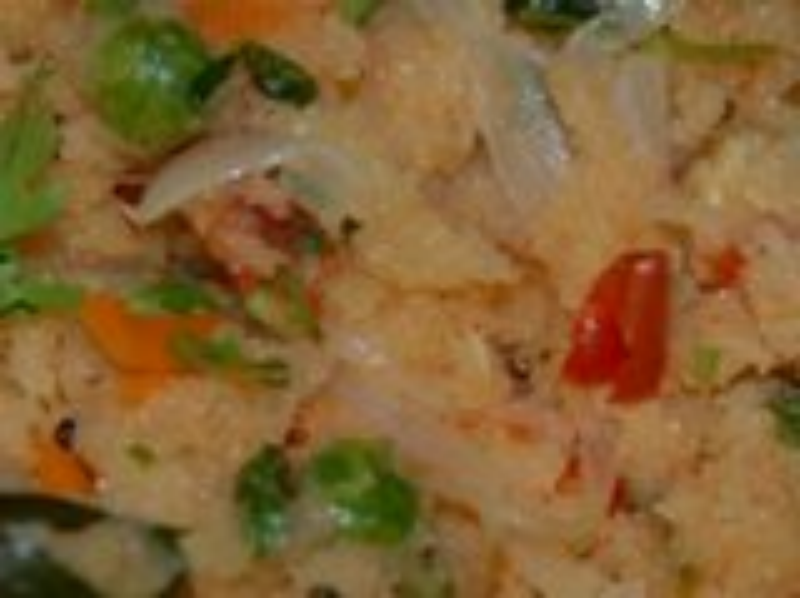 add in the tomatoes and add turmeric, red chilli powder and keep frying till the tomatoes go soft and the oil shows up. pour in the water,check the seasoning and allow to boil. now add the sooji little by little stirring continuosly on simmer. sooji cooks instantly while stirring. garnish with coriander leaves and serve hot with fresh curd or coconut chutney.